"Handsomely Handsome Puppet". I'm a big fan of Threed's Handsome Tom. Sure, it was merely an alternate palette version of Smilin' Sam, but come ON! 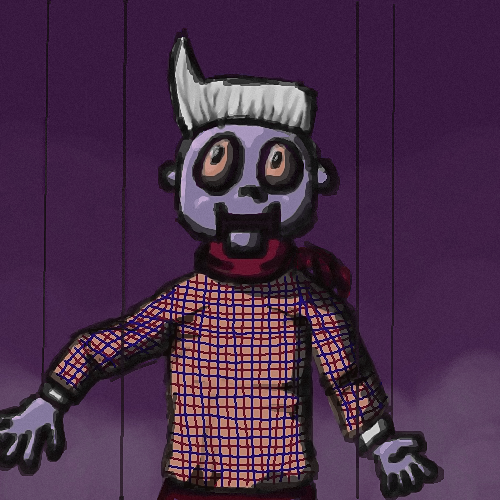 He's a puppet/ dummy that has purple skin and white hair. How creepy is THAT? And how creepy is the person who'd have made him? Handsome Tom is cool.